In two separate incidents, the Border Security Force (BSF), South Bengal Frontier, seized 1.750 kg snake venom and 45 gold biscuits weighing nearly 5.258 kg close to the Indo-Bangladesh border in Malda and North 24-Parganas over the last two days. In two separate incidents, the Border Security Force (BSF), South Bengal Frontier, seized 1.750 kg snake venom and 45 gold biscuits weighing nearly 5.258 kg close to the Indo-Bangladesh border in Malda and North 24-Parganas over the last two days. While the snake venom is valued at nearly Rs 13-14 crore in the international market, the gold biscuits are worth Rs 1,48,81,611. "On Tuesday, the BSF received information of smuggling of a consignment of snake venom in a public bus (WB-59-A-5762) bound for Malda town. The input was also received by DIG, Sector headquarters, Malda and immediately a special operation was planned and launched. The operation party covered the Gazol-Buniyadpur road and around 1.50 pm, the bus arrived near Daulatpur village. BSF troops stopped the bus and searched the luggage compartment. They found a black unclaimed bag. On opening it, the troops found a jar carrying 1.750 kg snake venom in crystallised form. From markings on the top, the jar seems to have been made in France. The jar and its contents were handed over to the divisional forest office in Malda," a senior BSF officer said. The second incident occurred at the Tarali Border Outpost in the Swarupnagar police station area of North 24-Parganas on Wednesday. Information was received by troops of the 76Bn BSF regarding gold smuggling in the area of responsibility of Tarali BOP. 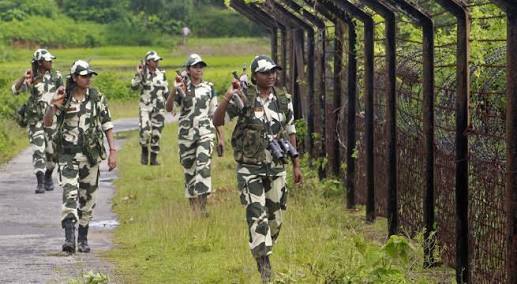 "A special ambush was laid near the Indo-Bangladesh Border Fence (IBBF). Around 12.05 hrs, the operation party noticed a person approaching the border fence from a village. He was challenged and detained by the BSF personnel and during physical frisking, two black cloth bundles were detected fastened to his waist by yellow tape. On opening of the bundles, the 45 gold biscuits were found," the officer added.